Create a beautiful memorial keepsake gift for your loved ones. 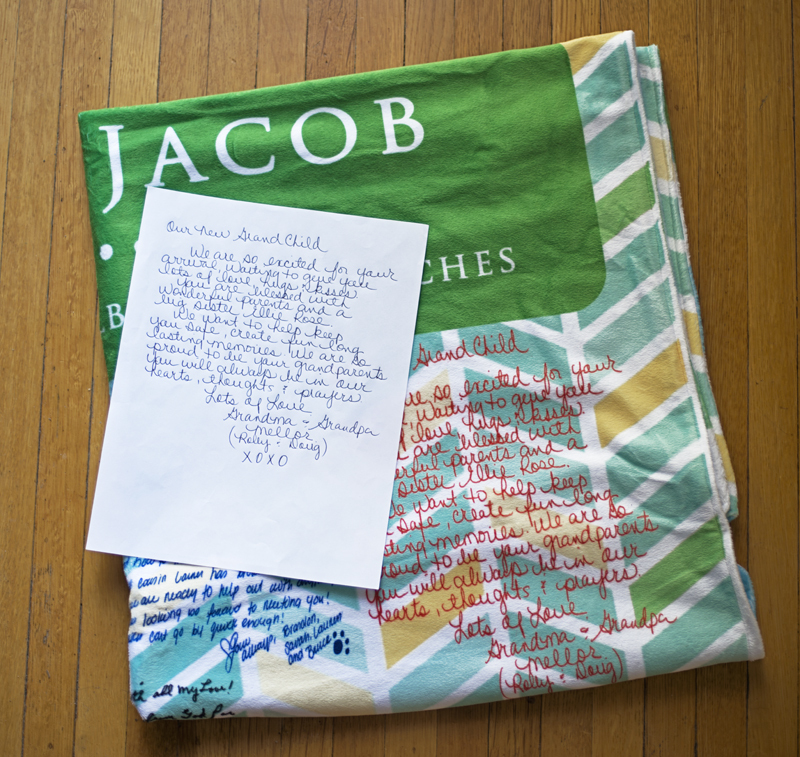 We take your handwritten letters and create a personalized throw blanket with fabric made from those exact letters. 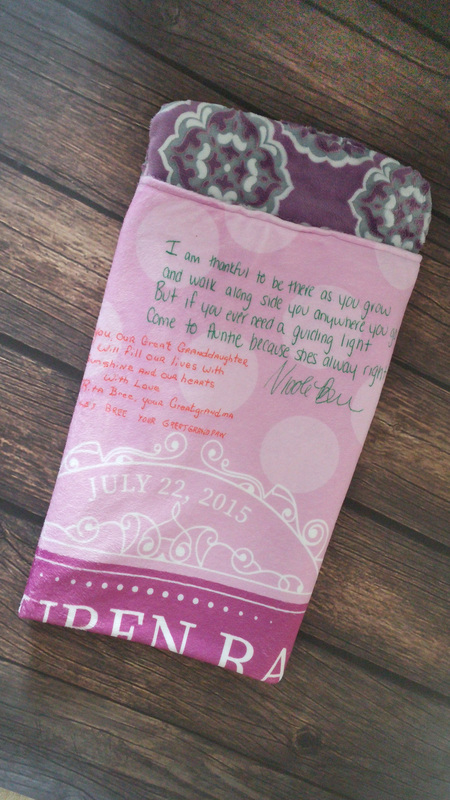 This beautiful keepsake is a perfect group gift or family gift! We are proudly Canadian! All of items are handmade in Canada. We have a few raw materials from the US however all sourced materials are made within Canada or the United States. Our high quality products are not outsourced nor are they mass produced. Share your love, memories, and / or advice (aka Sentiments) on these personalized memorial gifts. 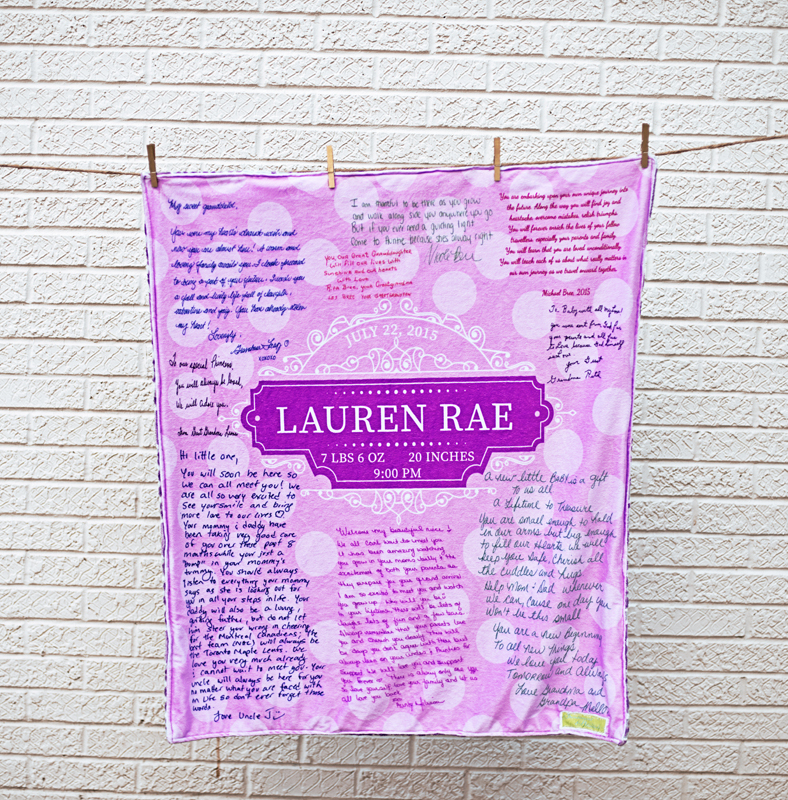 These custom blankets are a perfect way to express your love and let that love last forever! Let your legacy live on forever! 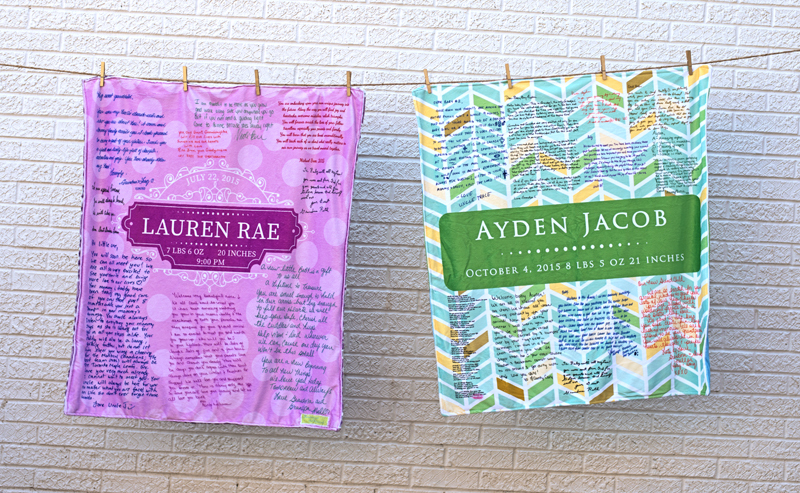 These gift blankets will share your love for an eternity. 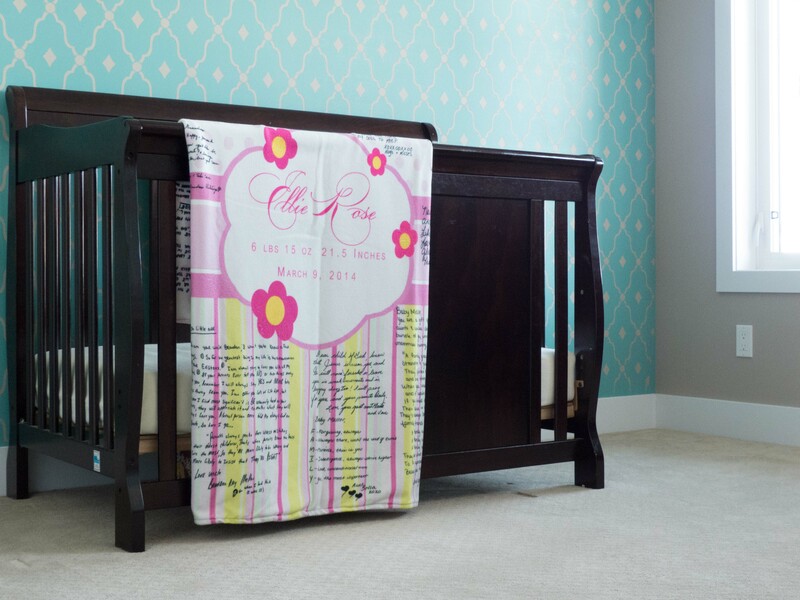 Capture your love and memories on these personalized blankets, and share that love with those beyond your lifetime. 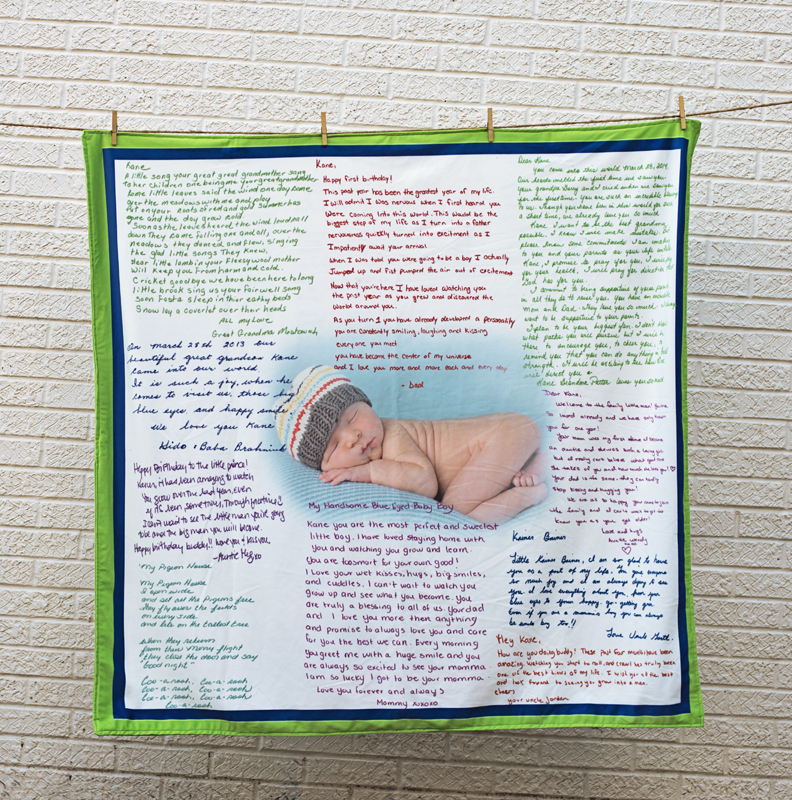 Photo blanket with personalized hand written letters to cherish forever. 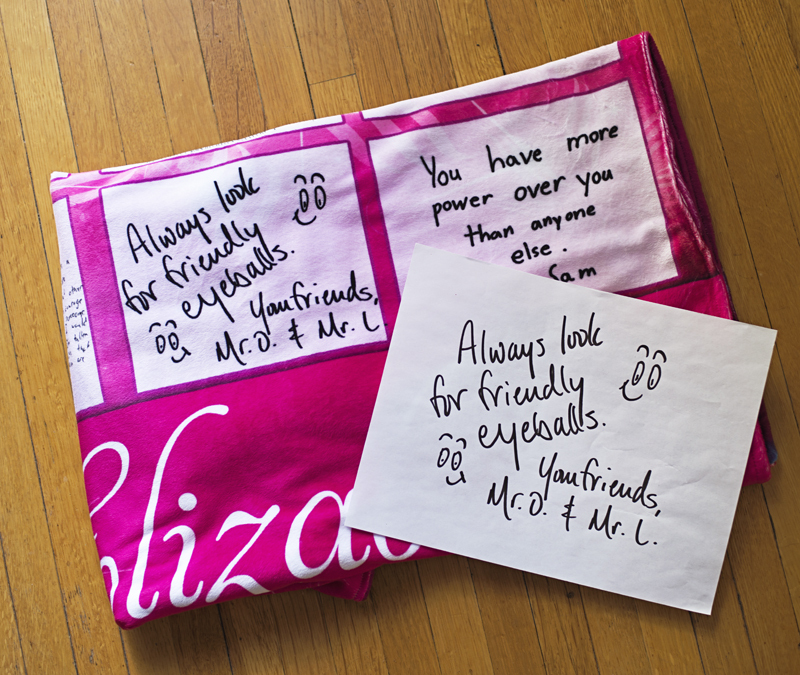 A customized group gift. 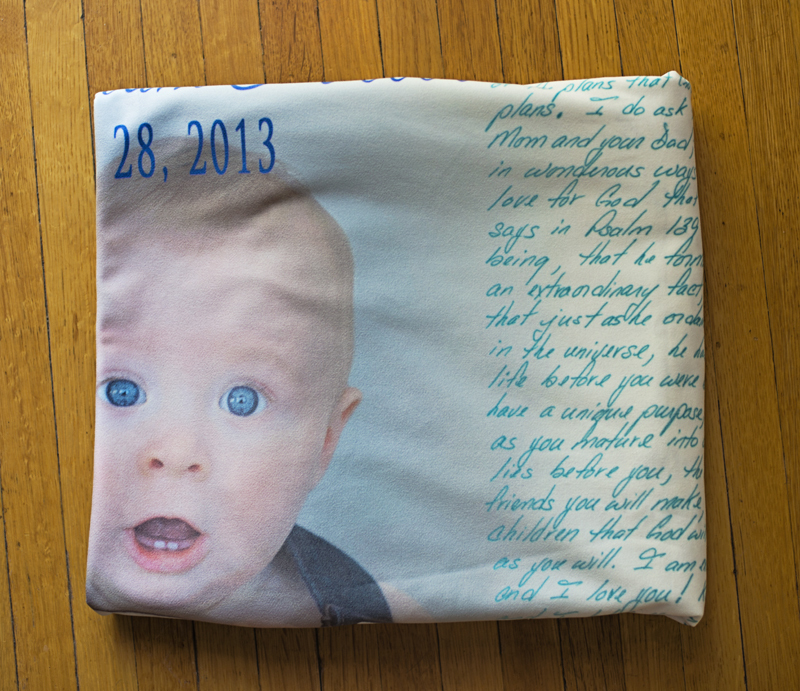 Personalized baby gift from the whole family. 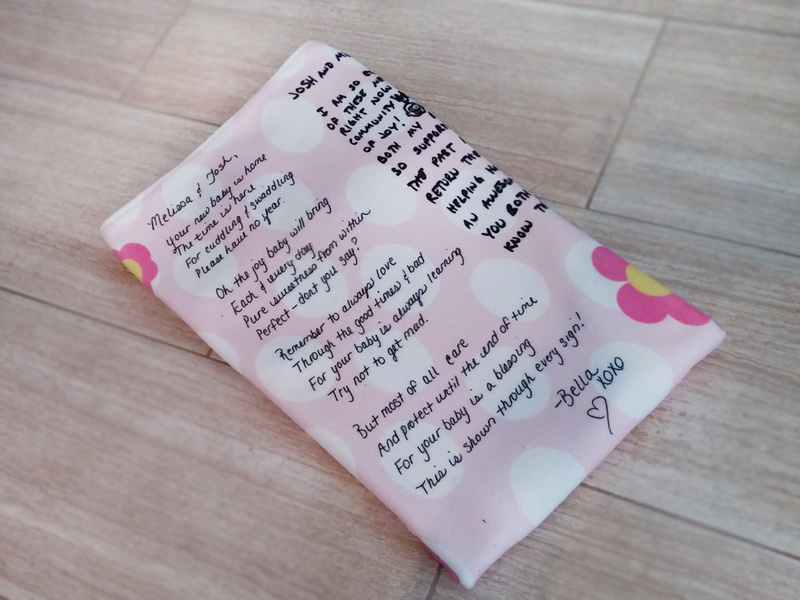 Gather a group and create a special and sentimental gift item. 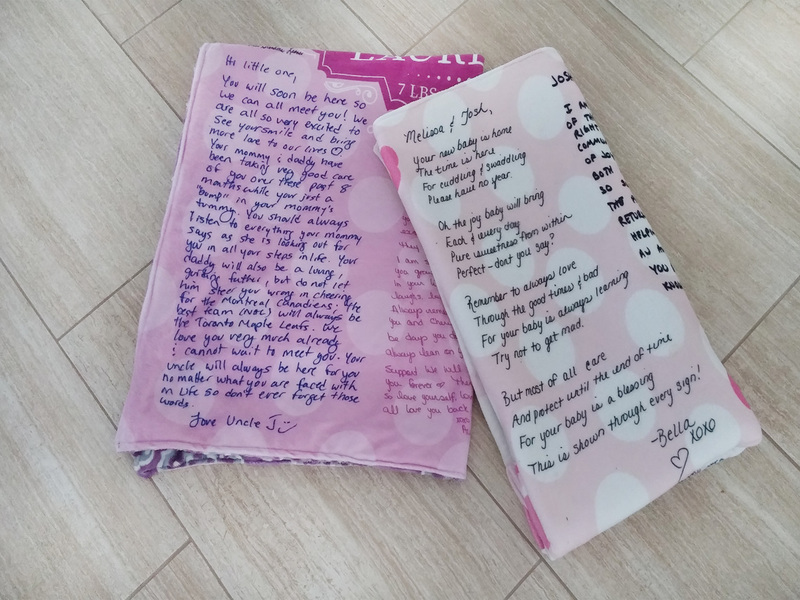 Contact you your family and close friends and ask them to write a special letter to the recipient of the blanket. Once the letters are complete, compile them into one package. Submit your letters to Sentiment Blankets head office. You can mail us the originals or email us your hand written letters. Please visit our Preparing Your Letters page for more information on this process. 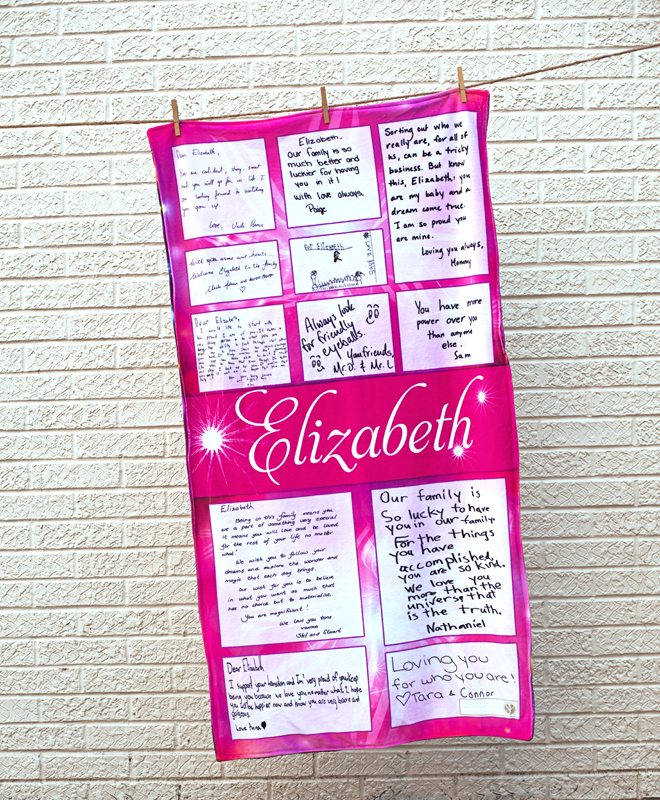 Once we receive your special letters, we will design your blanket. If you have any special design requests, please let us know. We will send you some design options for your review. Once you are 100% satisfied with the design, your approval will mark the start of production. 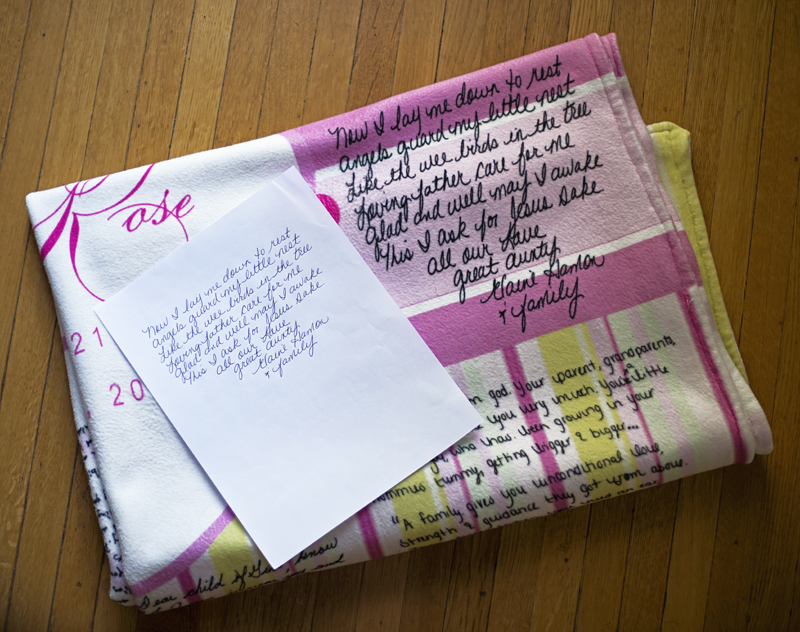 Production will take approximately 2-3 weeks, and once completed, your beautiful Sentiment Blanket will be shipped to your door! Interested in reviewing our previous projects? 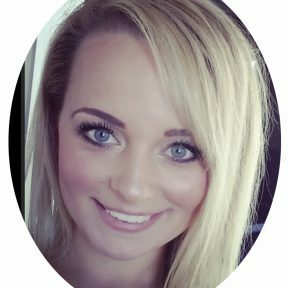 Check out our latest blog posts! Connect with Sentiment Blankets today to receive a free quote!